The thing with trying to find somewhere to eat in London is that everywhere looks so unassuming. 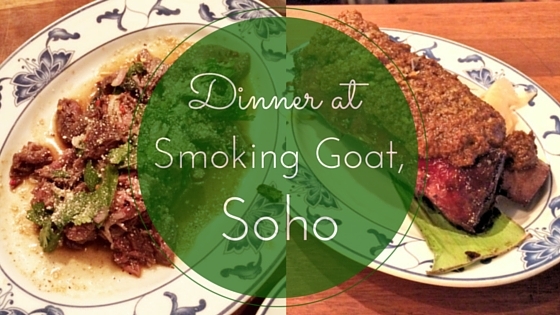 Some of the best places I’ve eaten at have little-to-no branding and only seat 20 people max. 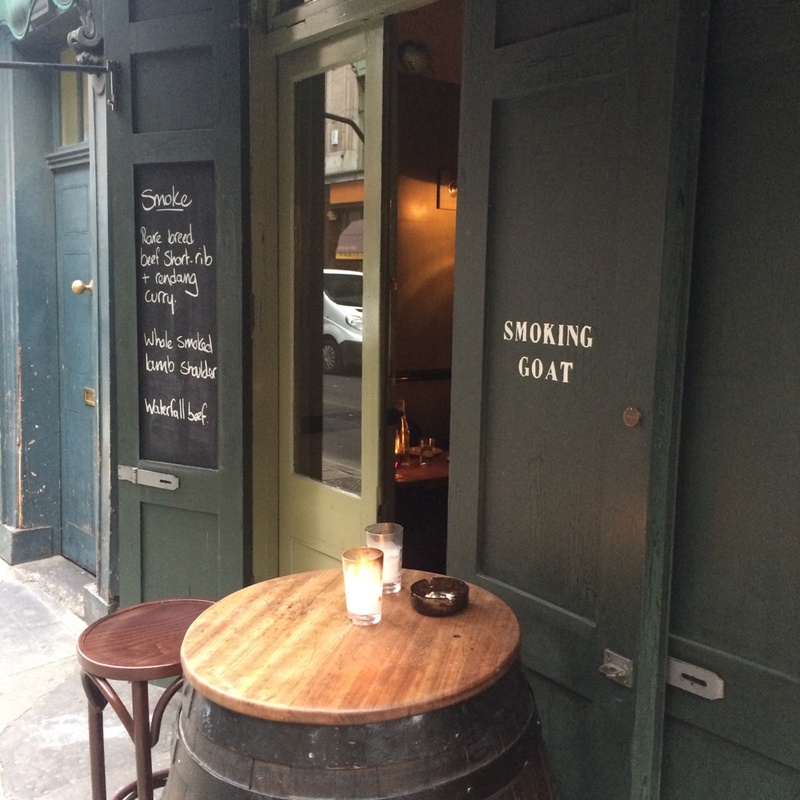 Smoking Goat looks like a standard side street dingy bar from the outside and is on Denmark Street, in the grey area between Soho and Covent Garden. At 6.15pm on a Monday it was pretty quiet, with most people just dropping in for a drink. That was a massive mistake on their part, and they clearly realised this when they saw our food come out, especially when we’d ordered enough to feed everyone in the building. We opted to sit at the bar (an option which, if the place isn’t heaving, is generally my favourite place to eat) and started off with a rum based Old Fashioned, because sometimes that’s what Mondays call for. 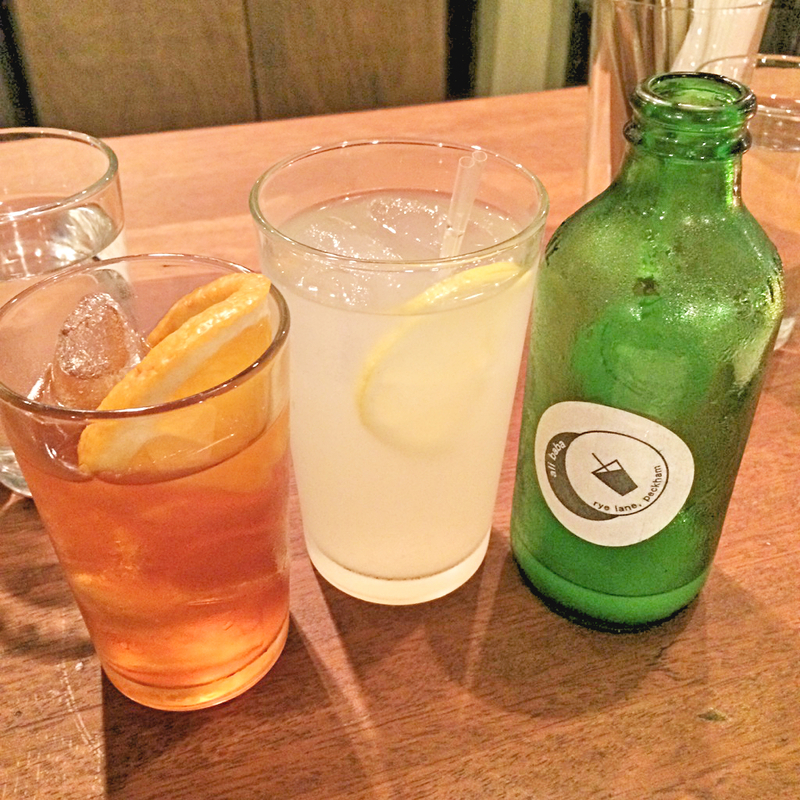 My boyfriend was uncharacteristically restrained and went for a Peckham brewed lemonade, but both drinks were string, tart and hit the spot. 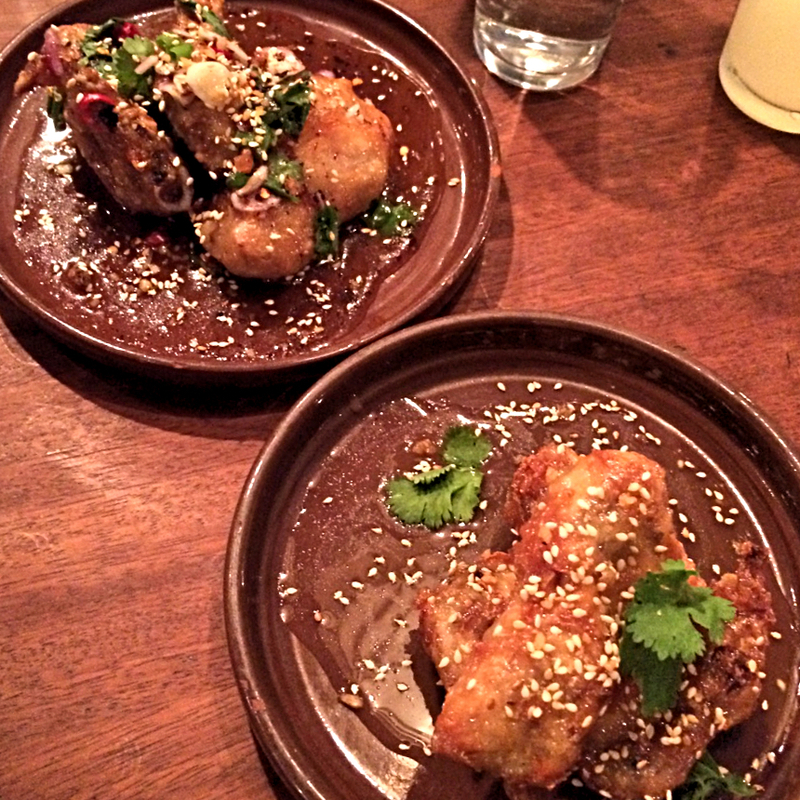 We both have quite a soft spot for chicken wings and can never resist them when we see them on a menu. Rather than choose between the two options we obviously went for both: fish sauce and chilli. The fish sauce ones were expectedly salty and delicious with it, but the chilli ones were something else – not spicy with heat but with flavour and the marinade almost creamy. I could’ve eaten a whole plate of them. The menu is advertised as Thai bbq as the meat is cooked over wood smoke; sweet chesnut and oak cask timber to be specific. Sadly we missed out on the fish dishes as their fresh deliveries do not come on a Monday, so we overindulged from the rest of the menu instead. 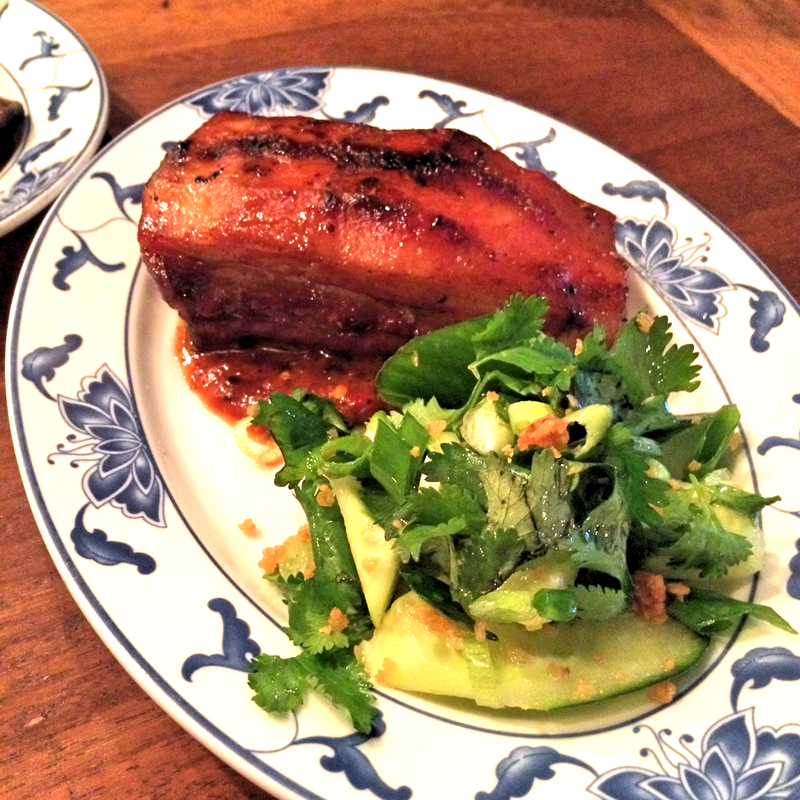 First was the barbecue rare breed pork belly which was rich and soft, a little crispy where necessary and strong Thai flavours coming through the fat as it melted in my mouth. 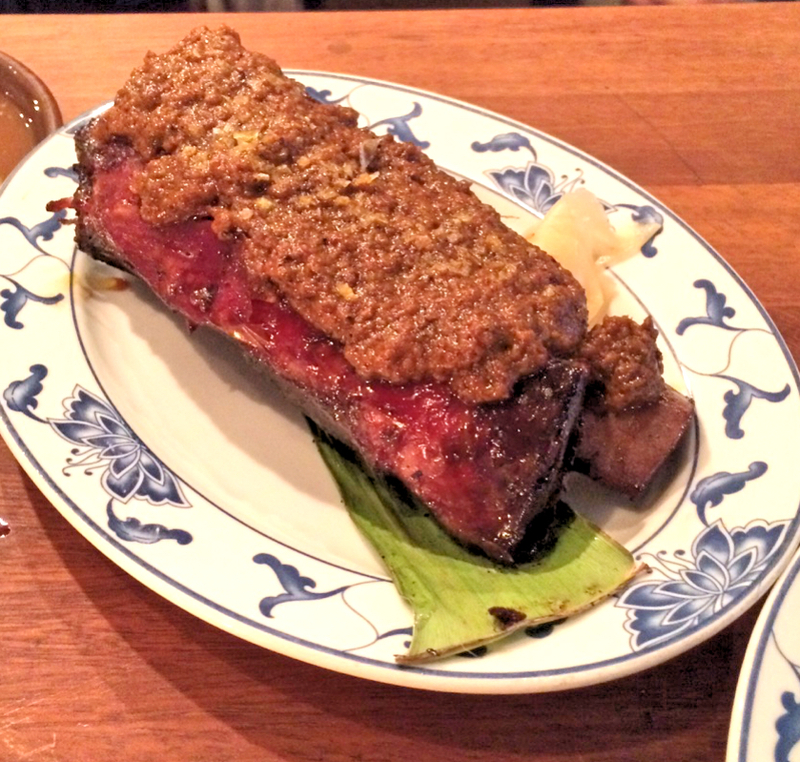 The barbecue rendang shortrib was bloody enormous and fell off the bone with the lightest touch of my fork. It was screaming with galangal and lemongrass but the light flavours were contrary to the heavy meat it coated; the green papaya salad we had on the side was a welcome cool freshness with it. 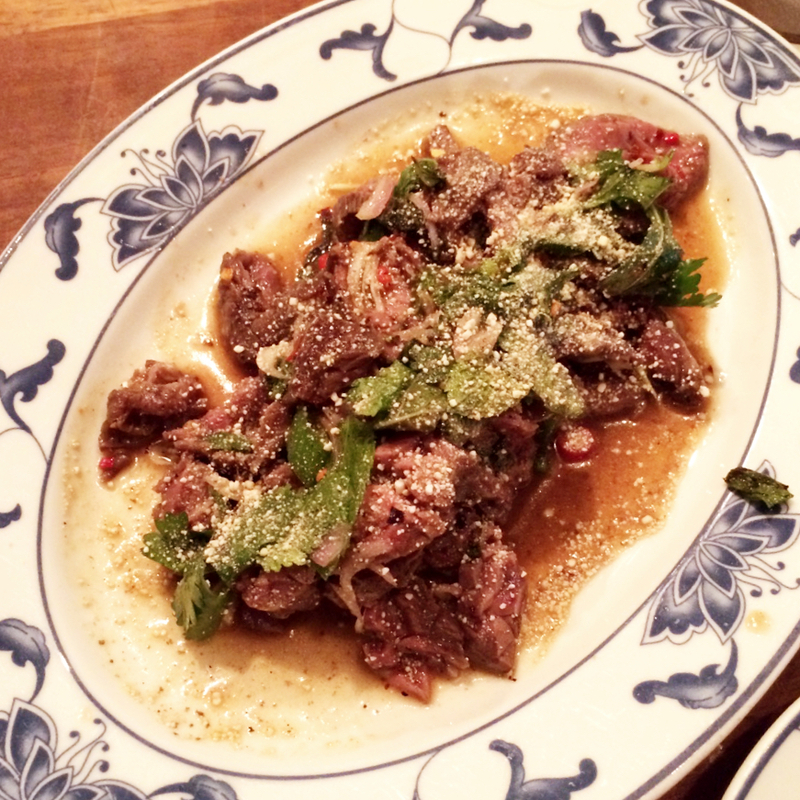 Finally we had my favourite, the bavette ‘waterfall’ beef with lemongrass and chilli. This was light strips of meat covered generously with coriander with a bit of a kick and almost wet with the juices it had been cooked, and subsequently sat, in. 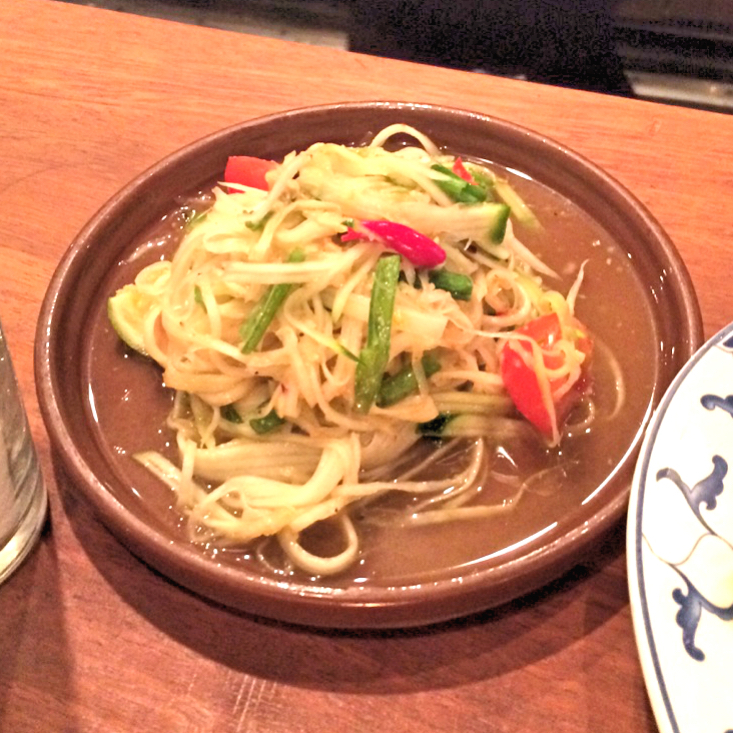 It went great with the soft sticky rice characteristic of Thai meals. In the quiet Monday bustle of central London there was a real pleasure in eating somewhere intimate, reasonably quiet and where we didn’t have to queue. It felt like a secret, but now I’m telling you all I guess I’ll see you at the bar.